The Mayans sure know how to take the fun out of Christmas. 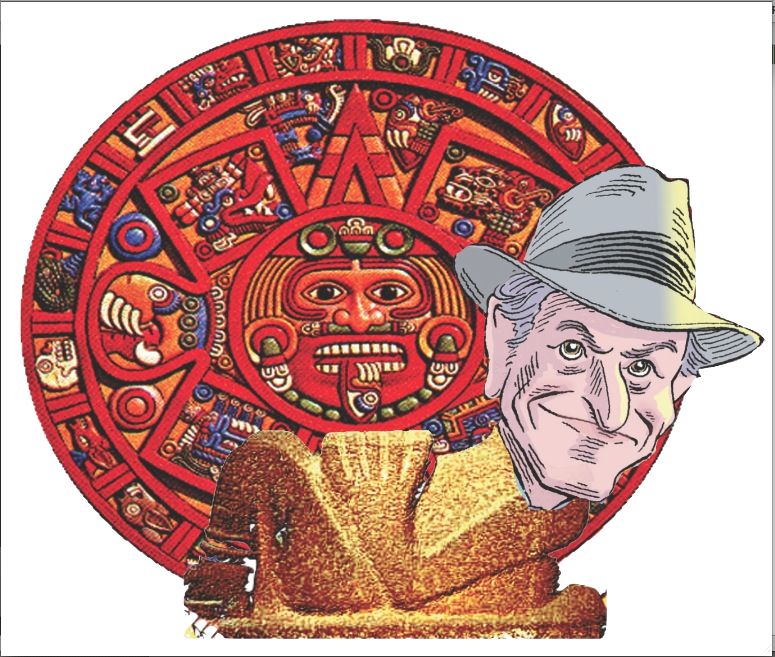 The world ends on December 21… but that still gives you time, if you act NOW, to make your year-end tax-deductible donation to the not-for-profit Palast Investigative Fund. And we’ll get a ‘Thank You Gift’ out to you (or anyone you designate) by priority mail within 48 hours of your donation. That’s way before the Big Choc-Mool pulls the plug. Send us a much-needed year-end donation of $200, $20, $2000, $5. Whatever you can. Donate $50 and get a signed copy of Billionaires & Ballot Bandits, the New York Times bestseller. Donate $30 and get Why We Occupy – the DVD of Palast Live! from the Vultures’ Picnic tour. Donate for a gift pack of swag which I’ll sign and get something for that uncle who still thinks that Reagan was an economic genius. Chose from 12 different gift packs, starting at $60. Donate $2,000 and get a TRIP TO ALASKA – for a member of the Palast investigations team to get under the ice-cap for the real story on Arctic Drilling. Donate $1,000and get a big bag of truth: we’ll list you as co-producer of Billionaires & Ballot Bandits: The Film, which is now just a few frames, and a few thousand bucks, short of completion. Every dollar you donate will fund the post-apocalyptic follow-up investigations of mad frackers and other Mama Earth attackers, the Brothers Koch and their latest scheme (hint: much to do with the XL Pipeline), nuclear power nudnicks and international financial finaglers. And we’re already sleuthing the Theft of 2014 – a year ahead of the vote rustlers. And from the whole Palast investigations crew … Happy Holidays (or) a Delightful Doomsday to you and yours.